As chemists, how often do we sit back and analyse our collective behaviour? Why are research papers written in dry, dense, emotionless language? Why do chemists – particularly the organic kind – who communicate predominantly through images, receive little or no training in drawing? Why are we drawn to reductionist arguments of simplicity, when perhaps we should learn to embrace the beauty of complexity? Nobel laureate Roald Hoffmann is one of the few brave chemists to have taken on these questions and committed his thoughts to writing. Through this collection of his essays and transcripts of some lectures, he expounds some of his personal philosophies on ethics, teaching and communication, the mutual influence of art and science, and even on the ways scientists should think. All of this is laid out in accessible language and with a lightness that reflects Hoffmann’s second love – as a writer, poet and playwright. He is skilled in capturing a reader and carrying them along with him as he explains his reasoning (vertically, horizontally and circularly to borrow a phrase from Hoffmann himself). Those interested in pursuing the arguments presented in these short texts further will benefit from the extensive referencing and suggestions for further reading. As a collection drawn over some time, there is a certain amount of overlap and repetition between the individual texts. However, each of the 28 chapters brings new arguments and should provoke thoughtful self-examination. Not everyone will agree with Hoffmann’s perceptions – but that is the nature of philosophy. Discussion and considered argument help us in shaping our knowledge and honing our investigational skills. 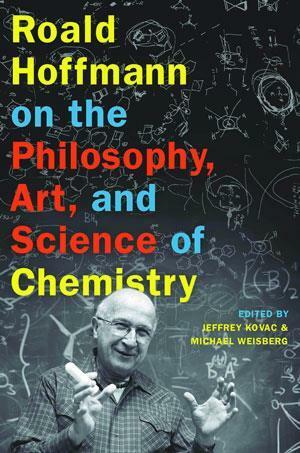 Purchase Roald Hoffmann on the philosophy, art and science of chemistry from Amazon.co.uk. RSC members can obtain this book direct from the publishers for a 25% discount on the RRP. See the RSC member benefits page for details.